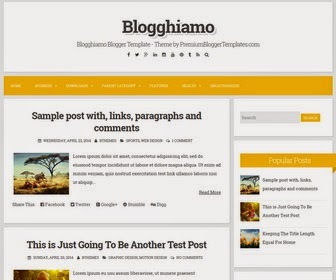 Blogghiamo is a Beautiful, Responsive, 2 Columns and Minimal Blogger Template for Writers, Personal Blogs or Other. Blogghiamo Blogger Template has a Social Icons, Dropdown Menus, Share Buttons, Related Posts, Google Fonts and More Features. I use this template on my site. Thanks! It's great.